Spring is always a time of new beginnings and for the last couple of years, it’s the time Google has chosen to announce updates or changes to its ad platforms. In 2013, Google announced Enhanced Campaigns, which introduced a new way to build campaigns and did away with the practice of creating separate campaigns for mobile and desktop. Every year since they have made various announcements in the spring, mostly around mobile. Yesterday was no different. At the annual Google Performace Summit in San Francisco yesterday, Google made a series of announcements about updates to the Adwords Platform. Mobile continues to be a huge emphasis for Google, which isn’t a shock to anyone. Mobile changes everything. [bctt tweet=”The mobile revolution isn’t coming, we aren’t experiencing it right now, it has already happened.” username=”@xcitemediagroup”] It’s no longer about accounting for mobile, it’s about designing everything with a mobile first mentality. From your website, to your marketing strategy you have to think of a “mobile first world.” We talk a lot about context and intent and how they play a critical part in how we market our clients. Device, Location and Audience play a huge role in determining our relevancy and Google continues to work to update its products to align better with these concepts. The main concepts in the keynote where around how should ads look in a mobile first world, how should bids work in a mobile first world and how should we measure impact in a mobile first world. Let’s take a look at a few of these updates and what they means for advertisers. In February, Google removed the right side ads from desktop searches to align the search experience across all devices. 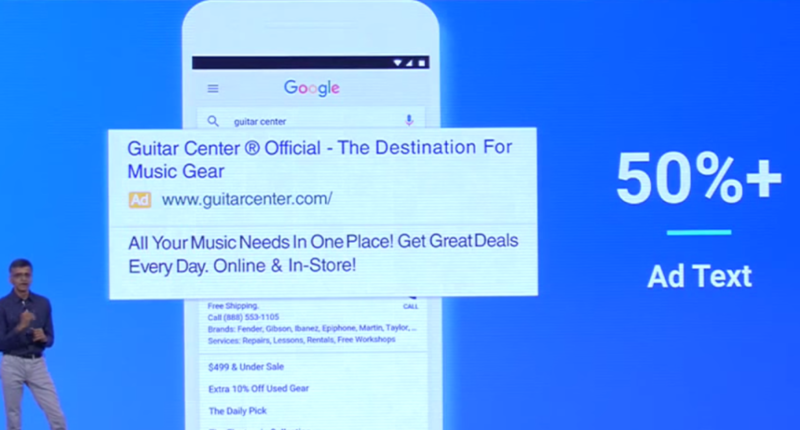 Yesterday, they announced an expansion of the the text ads format, doubling the amount of ad text in your ads. Now there are 2- to 30-character Headlines and an expanded 80-character description line. The current text ad creative is a single 25-character headline and 2- to 35-character description lines. In early testing, Google has seen as much as a 25% increase in Click Through Rates (CTR) with the new format. The Google Display Network (GDN) reaches over 90% over all internet users, but creating ads for all the various sites and apps available to you on the GDN can be a challenge. Soon, marketers will be able to simply create headlines, descriptions, the landing URL and upload an image and Google will do the rest to create your ads to fit seamlessly into whatever websites consumers visit. This change will also give marketers the ability to unlock native ad inventory across the GDN. 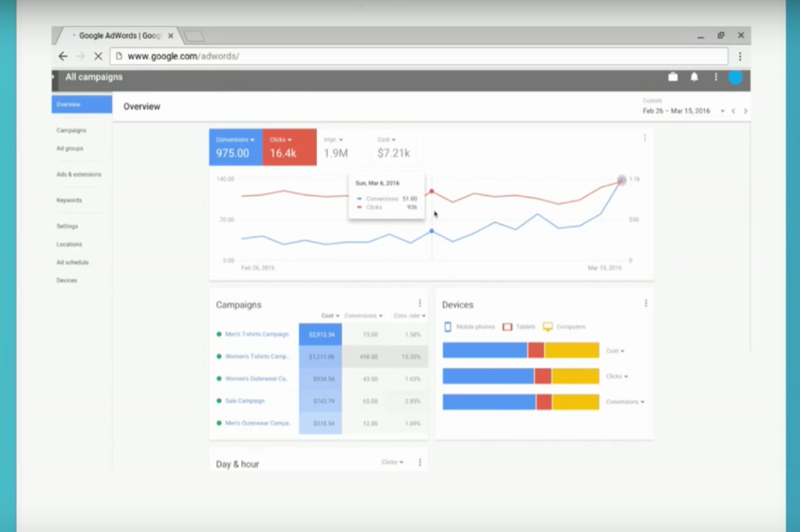 With Enhanced Campaigns, Google took away the ability to control different bidding techniques depending on mobile, tablet and desktop traffic. Starting in the next few months, you will have the ability to set individual bid adjustments for mobile, tablet and desktop to help you truly optimize your campaigns across devices. This allows you to anchor your bidding strategy around whichever device that drives performance for your business and then be able to adjust other devices up or down to suit your individual needs. Google announced what it’s calling “the next generation of local search ads”, allowing AdWords users with location extensions can now take advantage of richer ads within the Google Maps properties on Google.com, the Google maps apps and on the desktop version of Google Maps. These new ad types featured a “branded pin” on the map and the ability to have promotional text or offers appear right in the ad. If a user then “taps in” on the ad, a customizable business page will expand to highlight features unique to these promoted ads and the ability to search inventory right there in the business page. The other ad type Google is experimenting with is “Promoted Pins” within the Google Maps App. These ads can show while people are navigating the world around them. 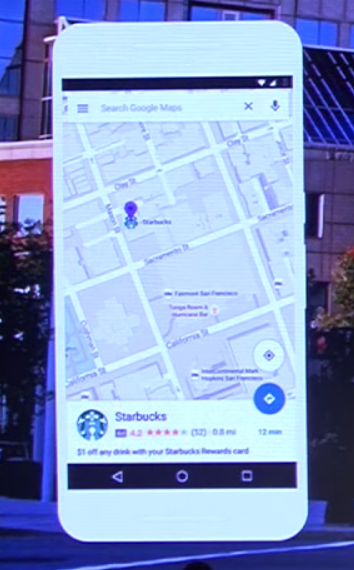 So if I was using the navigation in maps to find where I’m going, I could see a promoted pin for the Starbucks near me with a $1 offer with my rewards card. As consumer demand for more local information increases, marketers must find a way to have more accountability for offline conversions. 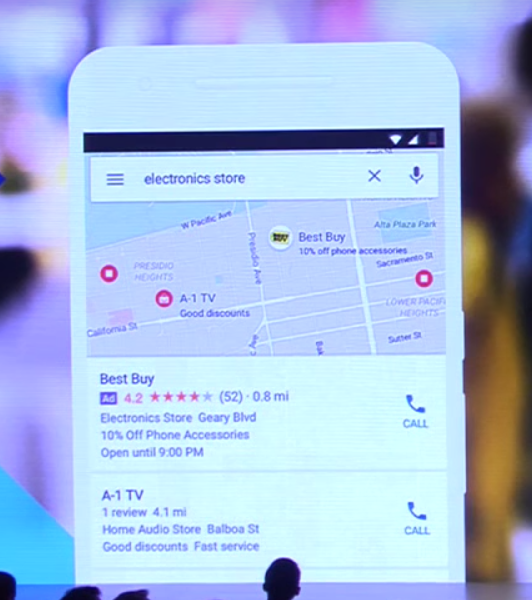 For the past two years, Google has been testing technology to measure in-store visits. They have measured more than 1 billion in-store visits during their testing. However, these tests were limited to a few big box advertisers like Target and Bed Bath & Beyond. 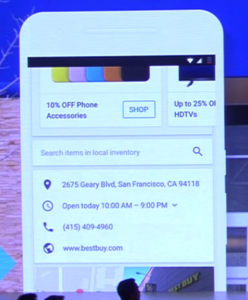 Moving forward, Google announced that these in-store visit conversions will be available to more types of businesses. All of the requirements to meet the beta aren’t yet known, but this is an exciting update for any business that needs to measure how their ads impacted foot traffic to their location. Businesses like car dealerships and restaurants will now be able to see how their ad campaigns impacted consumers coming into their business. The gem here is that Google is simply looking at the device location history to determine whether the user who clicked on your ad actually visited your business. In their early testing, Google found that their technology had an accuracy rate of over 99%! One company involved in the early testing was a Nissan dealership in the UK and using store visits they saw that 6% of their mobile ad clicks resulted in a visit to the dealership and this resulted in a 25 to 1 ROI. The world in which we live is a world of devices. A world where more than 50% of the one trillion searches done every year are on mobile. Google continues to innovate their products to help marketers better take advantage of this world and reach our target consumers in a more meaningful and relevant way. First, we must make sure that we are utilizing all available mobile ad formats and strategies to the best of our ability. We also need to make sure that we are ready to embrace the new formats Google announced yesterday as well as technologies we don’t yet know about to ensure that we are able to attract and convert users in this mobile first world when they are looking for us.